Choosing a floor covering for your home can seem like a complicated process, but with help from our specialist sales advisers, we can make sure you choose the right product to meet your needs. 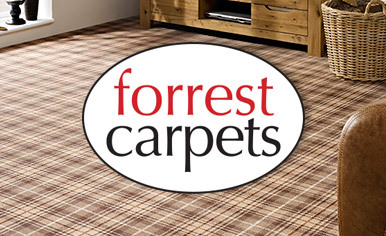 From luxurious, traditional carpet to stylish hard flooring alternatives, Forrest Furnishing’s collection is one of the largest you’ll find, backed by a comprehensive free measuring and estimating service. This simple guide provides plenty of useful information to get you started on the selection process. Each type of flooring has specific characteristics that make it suitable for different environments. Carpet is the most commonly used in domestic properties, but both vinyl and laminate flooring have become more popular in recent years. 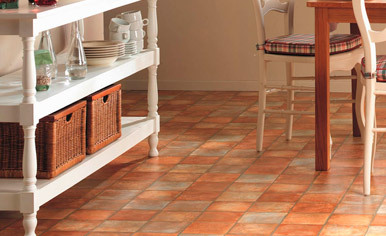 Currently our collections do not include tile flooring, or solid wood flooring. When choosing a carpet, it is important to think about the way you live and the overall feel you want your room to achieve. Carpets are made using natural products, typically wool, or synthetic fibres, usually nylon or polypropylene, or a blend of two or more together. Wool has been the most prestigious and luxurious material in carpet for many years. It has a rich look and feel, with excellent resilience and durability. Carpets described as Axminsters are made using wool and are at the top end of our collection. However, it is the most expensive and it requires more maintenance than other types. Nylon is the predominant fibre material in use on modern carpets. Nylon fibres have the ability to bounce back into shape making it a good choice for areas with heavy footfall. 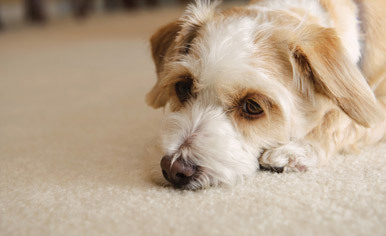 Because of its outstanding durability, about 80% of all fibre used in modern carpet is nylon. Nylon also dyes easily, making it easier for manufacturers to work with, and is more resistant to water-soluble stains than wool carpets. When it comes to colour-fastness, polypropylene is the best. Polypropylene fibres are actually made with the intended colour embedded into them, and so, do not require to be dyed, like wool or nylon. Because of that, it is also almost totally resistant to any kind of permanent staining. 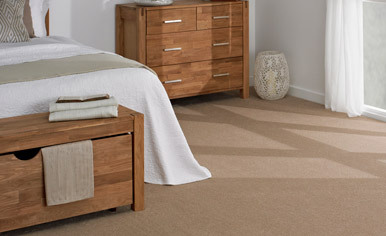 The only quality not found in most polypropylene carpets is the resilience and lush feel that nylon carpets offer. Polyester has greater stain resistance than nylon and is a relatively inexpensive yarn. It comes in vibrant colours and is more resistant to fading. However, it is the second least resilient type, and is the most oil absorbent. Polyester has a soft, luxurious feel and is less expensive than nylon. It has good stain resistance and excellent resistance to mildew and abrasion. However, prolonged exposure to sunlight weakens the fibres and it will attract oil and grease. A wool and nylon blend combines the superior look and comfort of wool with the durability of nylon. Nylon and polypropylene is another popular blend, offering the best characteristics of each fibre. How long a carpet stays in its best condition depends largely on the type of material used, the density of the fibres and the type of finish used. It is widely accepted that better made carpet can be expected to last longer, though this also is dependent on the amount of maintenance given to it. The twist and density of the fibres within a carpet will also affect durability, appearance and price. This flooring type is formed from an impervious plastic sheet with a printed surface which is water resistant and easily cleaned. It is deal for kitchens, bathrooms, hallways and anywhere with high traffic, where there is the potential for soiling. Vinyl is resilient, with an element of cushioning built within its structure, and is highly suitable for laying straight onto hard floors without underlay etc. Not all vinyls are the same, however. Some feature surface coatings for added wear protection or texture for slip protection, as well as being thicker and with added backing materials. With the advent of more and more sophisticated manufacturing and printing methods there is now a vast range of looks that can be achieved which are very realistic - slate, parquetry, tile, terracotta and much more. 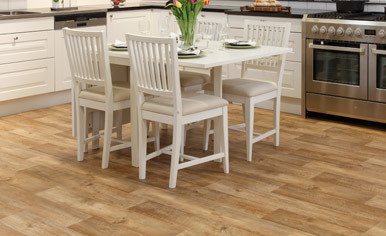 Laminate flooring comprises a clear surface wear layer over varied printed flooring designs. There are various methods used to produce laminate, from those that use specially engineered high density fibreboard for the backing material to the more sophisticated that use flexible and easily shaped backings to provide a higher quality product. These products include superbly realistic wood designs, their main characteristic being that they are extremely durable. They are particularly suitable for those who want a timber look in high traffic areas.